BMW Motorrad has just introduced their new C1-E electric scooter concept as what “a safe, environment-friendly and highly practical single track vehicle for city traffic could look like in the future.” Some of you may remember the C1 scooter that was available in Europe between 2000 and 2003. Offered in two trims, the 125 (124cc) and 200 (176 cc), the original C1 purported to provide a standard of accident protection that was comparable to a European compact car, with a reinforced canopy. The party line was that this thing was so safe you didn’t even need a helmet. The C1 was off to the races with sales over 10,000 in 2001. However, due to very poor sales the following year, production ceased in 2002 as market demand cooled. The BMW C1-E Concept, like it’s predecessor, features a fully-enclosed cabin with built-in rollover protection, a front-end impact zone, a four-point safety belt and a low center of gravity. 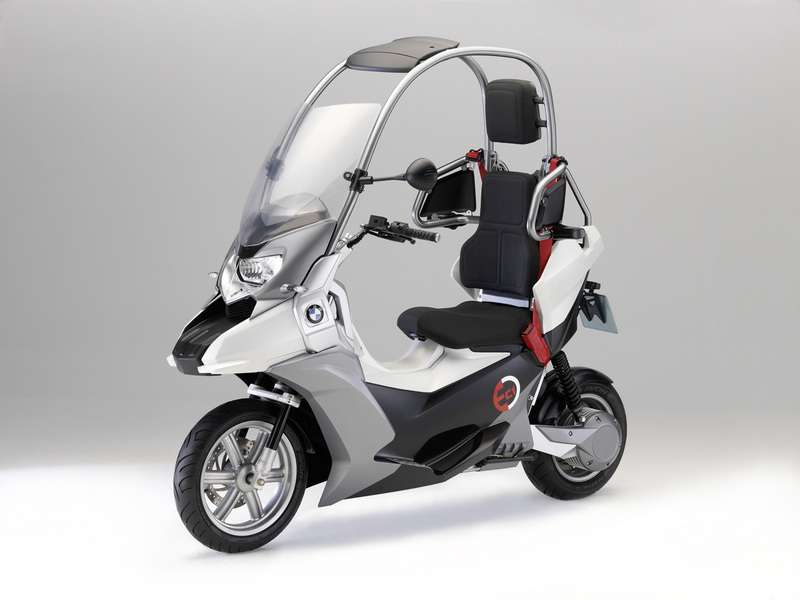 In the years since the C1 was released, BMW Motorrad has advanced a host of electronic aids such as integrated ABS, Traction Control, Tire Pressure Control and Anti-Slip Control. BMW is even toying with the idea of “forward-looking rider assistance systems” that help with cross-traffic and traffic light guidance as well as warning alerts for road hazards, emergency vehicles, sudden braking or advancing bad weather. 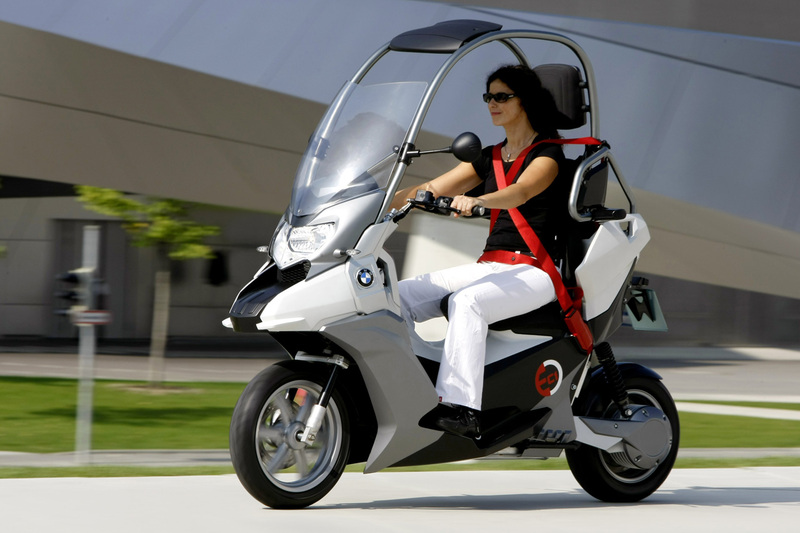 Not only is the BMW C1-E Concept remarkably safe but it is environmentally friendly as well as with zero emissions. BMW pulled technology from now defunct scooter manufacturer Vectrix to provide the powertrain components including the electric motor. An advanced lithium-ion battery pack is used to provide substantial energy storage. The C1-E Concept is also flexible enough to support an efficient, low-emissions gasoline engine.